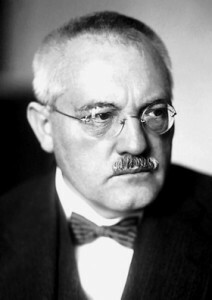 German chemist Carl Bosch opens the first factory to produce synthetic ammonia, the main ingredient in chemical fertilizer, ushering in the era of modern agriculture. Fritz Haber had pioneered and patented the process of fixing inert nitrogen into a useable, reactive form. The Haber-Bosch process increased the natural limits on plant growth and effectively removed the primary, limiting factor that kept human population in check. In fact, world population growth has closely tracked fertilizer growth. When the factory opened in 1913, it fixed 7,300 tons of nitrogen at a time when there were 1.7 billion people on earth. By the time population reached 7 billion in 2011, factories were fixing 120 million tons per year.